Will Mewtwo, Zelda Wii U or the Virtual Console actually show up? These are the tough games to review. Swimming in 3D games is never great, but there's something especially horrible about Zora Link. Slowly but surely, Pokémon Shuffle has become one of Neal's go-to 3DS games. I didn't think much of Pokémon Shuffle when it was announced. 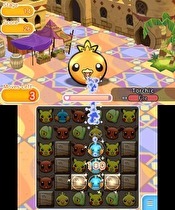 After playing Pokémon Battle Trozei last year, I thought my desire for a Pokémon-themed puzzle game was satiated. I also thought I had zero interest in the game's potentially shoddy free-to-play mechanics. More than 10 hours of puzzling later, I'm surprised at how much I’m enjoying Genius Sonority’s stab at free-to-play puzzling. Nintendo popped the cork on their mobile plans, their Club Nintendo successor, and their next console. What does it all mean? Nintendo will be partnering with the large mobile company DeNA to create smartphone apps and games that will be part of a Club Nintendo-like ecosystem that links the Wii U, 3DS, tablets, phones, computers, and Nintendo’s future console, which is currently dubbed NX. That’s a hell of a way to start a morning. 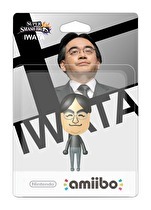 Yes, Nintendo is going into mobile development, but at least for now, they are still working on their own consoles. Zack went to see Symphony of the Goddesses for the third time, and it’s still great. The Legend of Zelda series features a fantastic assortment of some of the greatest video game music ever composed, going all the way back to the original blip and bloop sounding original on the NES. I was lucky enough to attend The Legend of Zelda: Symphony of the Goddesses for the third time for its return to Boston. It was, of course, the third season of the show which is being called the Master Quest. A brief history of Nintendo's weird, under-the-radar series created by their Washington-based NST studio. 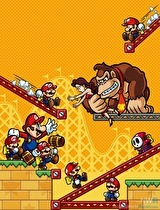 For a game starring Mario and Donkey Kong, Mario vs. Donkey Kong: Tipping Stars seems like it is flying under the radar. There's a good reason for that, because the Mario and Donkey Kong series has always existed in a weird periphery to Nintendo's other games. With the New 3DS, the old 3DS, and the Circle Pad Pro, what ways do we prefer our Monster Hunter? Controls in Monster Hunter on the 3DS have always been a bone of contention. Hell, the Circle Pad Pro essentially exists because for the series. As such, Monster Hunter is one of the few games that makes use of the Circle Pad Pro and the New 3DS's new C-stick. After messing around with different control schemes, Neal and Alex have figured out how they prefer to control the series' latest entry Monster Hunter 4 Ultimate.